35th Anniversary Vow Renewal ceremony!! This was to cutest cake ever! 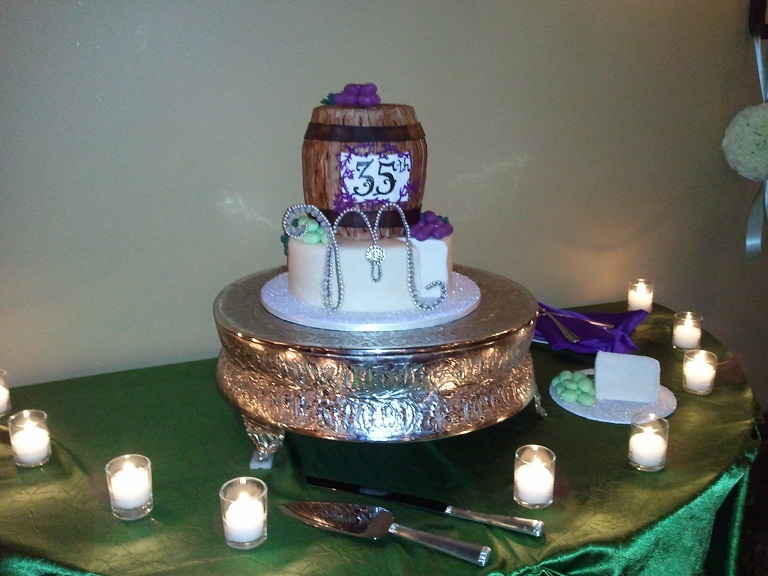 A wedge of cheese with grapes and a wine cask on top and inside...fabulous red velvet cake...yum! And if you think the cake is cute, you should have seen the anniversary couple! Still madly in love after 35 years...precious! Happy anniversary Chuck & Karen! The featured "M" monogram is a custom crystal and pearl creation embellished with a vintage jewelry piece. We customize by size, color and style, making your monogram perfect for any special occasion!